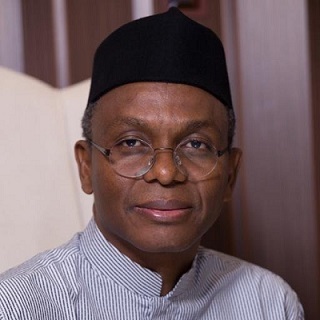 Kaduna State Governor Nasir el-Rufai today swore in the Secretary to the State Government, Malam Balarabe Lawal. The former FCT Minister also swore in his Principal Private Secretary, Malam Salisu Suleiman, Deputy Chief of Staff in charge of Legislative Affairs, Malam Bala Yunusa and the Special Assistant, Media, Malam Samuel Aruwan. He charged them to be dedicated to duty. “We are here for a serious business that requires dedication, commitment and sacrifice to achieve positive results,” he said. He urged them not to disappoint the people of the state who voted him into power. “They expect us to work hard and to achieve results, and so we must work. “There is no room for excuses. We have no time to waste; neither do we have time to play. We have a duty to work hard for the development, unity, and progress of the state,” el-Rufai said.